An internal awards ceremony for a confectionary brand saw 400 employees recognised for their achievements. DRPG has won a new client and was responsible for the internal annual awards for the brand Krispy Kreme. Around 400 people attended the event, which took place at the Grand Station, in Wolverhampton, where Krispy Kreme employees were recognised for their achievements. The evening event saw colleagues networking at a drinks reception, with those attending enjoying a range of food served from pop up stalls. There was entertainment from a band and the opportunity to strike a pose in the photo booth. 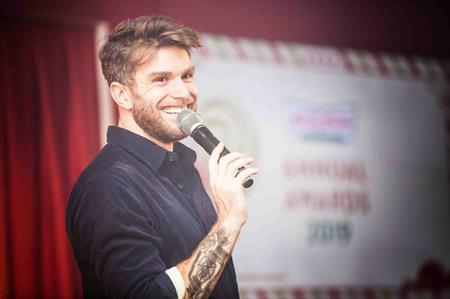 Neil Williamson, Krispy Kreme UK operations director, opened the ceremony with a speech before handing over to host, comedian Joel Dommett. Nicola Prangley, human resources services manager, said: "This was the first time Krispy Kreme have used a full events service and we took it as an opportunity to refresh our awards format. "We couldn’t have been happier with the end result and have received such positive feedback from across the business. As an employer with a young workforce demographic, it was great to hear DRPG’s ideas on how to get away from the traditional corporate event and deliver something much more in line with our brand." Stephanie Allen, DRPG project manager, added: "We were able to give a twist to the typical awards ceremony, keeping to the brief and staying quite informal. "We delivered an event which really resonated with the party atmosphere. It was a good first project to work with Krispy Kreme, and we look forward to working together again in the future." Should you be using influencers to market events? Why are there 'more women' in the events industry?